Minimum of one year experience in Laundry or cleaning. Laundry experience in hospital environment will be an added advantage. Motivated and willing to work under pressure. Be able to cope with physical demand of the work. Be prepared to work day and night including weekends and public holidays. Clean Laundry area and Laundry machine. Be able to operate various machine in the Laundry (i.e. 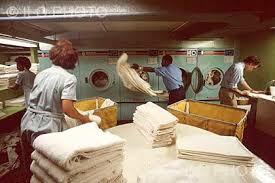 washing, sluice machine, tumble dryer), iron, fold, count and pack laundered items and seal linen bags. Collect and deliver linen to the wards. Sort, count and record soiled linen. Do all laundry responsibilities as directed by the supervisor. Adherence to separation of waste and infection control. Perform any other duties as delegated by your senior. Notes: Applications must be submitted on form Z83, obtained from any Public Service Department. The completed and signed forms should be accompanied by a recently CV as well as certified copies of all qualifications and ID document (no copies of copies allowed. Certified copies should not be more that than three months old.